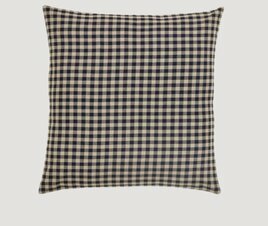 This Black Check Fabric Euro Sham offers a classic look. A great addition to any room, this classic piece is versatile and transitions easily from room to room, season to season. 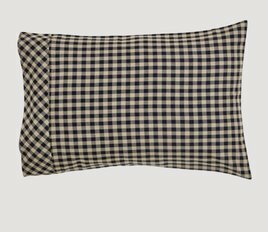 The Black Check Pillow Case Set of 2 blends khaki & black checks with a band of diagonal checks at the open end. You'll receive 2 pillow cases, each measuring 21" x 30". Colors may appear differently in different resolutions & on different computers.